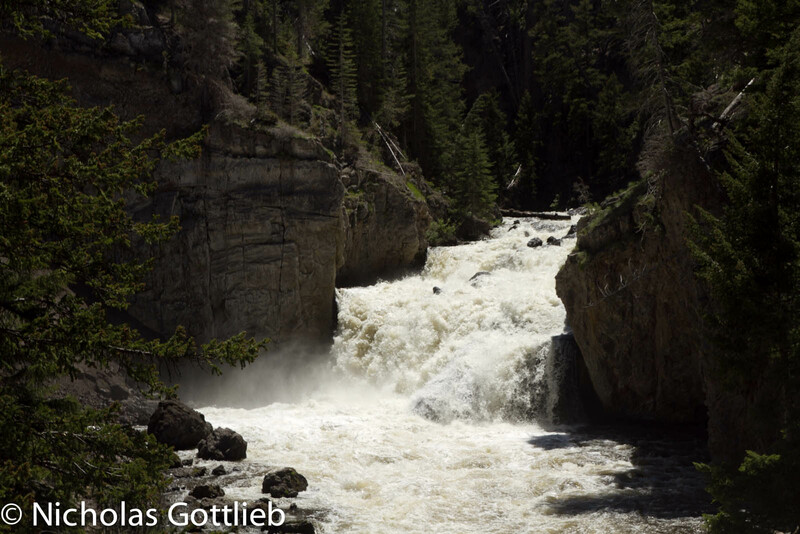 According to Google, it only takes about 4 hours to drive from Jackson to Bozeman…but apparently they don’t expect you to stop every time you see a runnable rapid in Yellowstone. Slides on the Lewis River Canyon. It keeps going downstream. 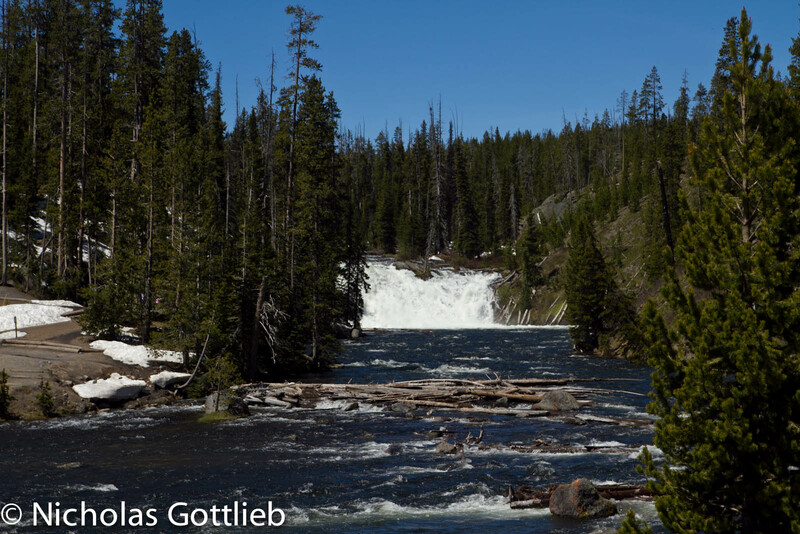 Lewis Falls, a bit further upstream. 30'. Kepler Cascades, another awesome sequence right on 191. 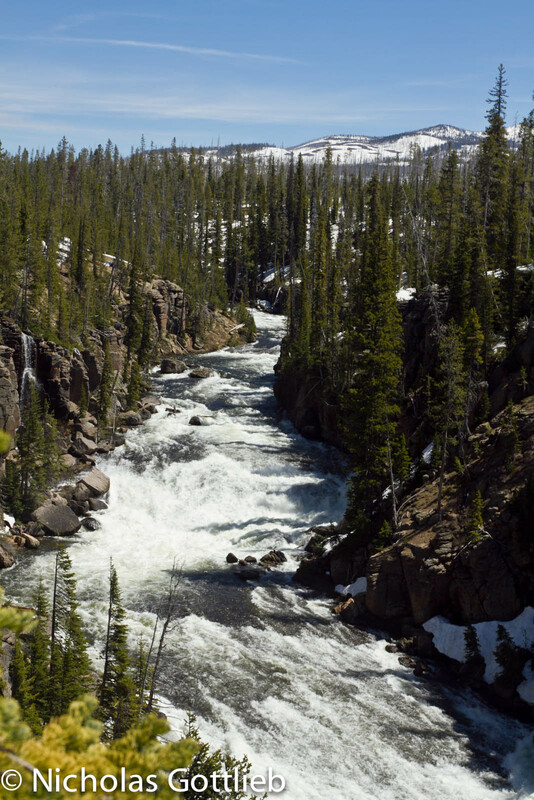 We stopped and looked at the Firehole River, a two mile stretch of IV/V whitewater through a beautiful canyon with 8-10 distinct rapids. 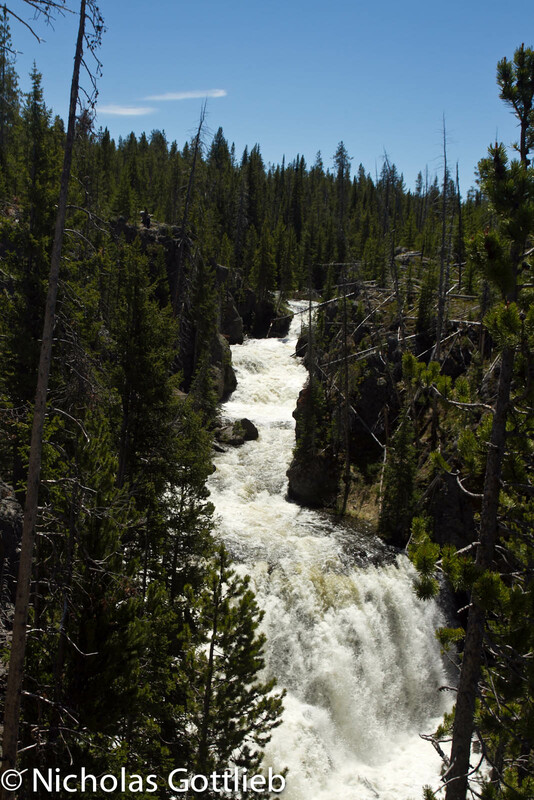 Firehole Falls, about halfway down the run. Probably 30' top to bottom, looks like a sweet boof-boof on river right. 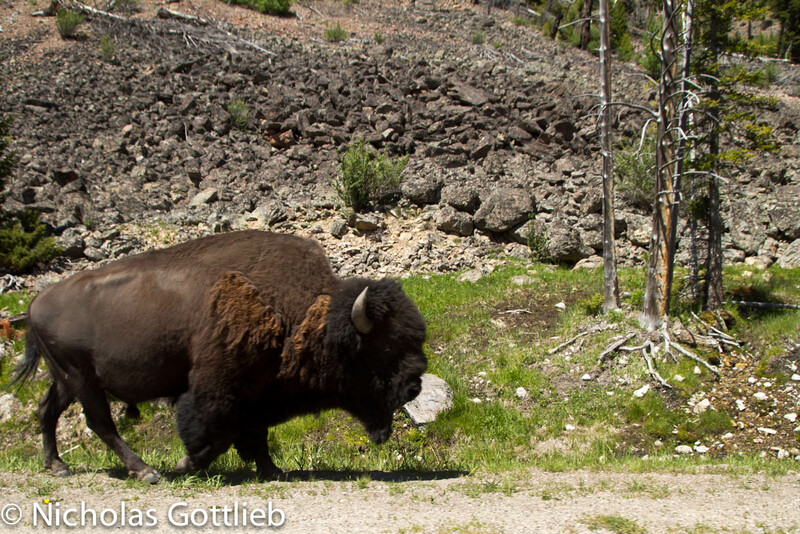 Also, there were some bison on the road. This was just what I we saw driving through Yellowstone on the way to Bozeman. No detours, all roadside. You could spend months exploring the whitewater in the park. Unfortunately, it’s all illegal. You can powerboat the flatwater. You can snowmachine in the park. You can drive your huge RV into the park. But you can’t kayak the rivers. Why? Not clear. You can kayak in every other national park. Most of the arguments the Park Service gives for banning whitewater is that they don’t want to increase the number of people visiting the park. But really, with Old Faithful built into the huge tourist trap that it is (including miles of boardwalk around geysers, a huge lodge, restaurants, and parking for over a thousand cars), is allowing kayaking going to make a big difference? I’d understand if they want to limit or ban commercial rafting in the park. That certainly would make a difference, although other parks — like Grand Canyon National Park — manage commercial trips quite well. But they could easily open it up to private boaters without dramatically increasing the impact of people on the environment, especially with things like snowmachining and powerboating permitted. I can’t say I’m that educated on the subject. I only started looking into it when I drove through the park and saw so much whitewater. But it seems like there’s no justifiable reason for maintaining the boating ban beyond NPS stubbornness. Wow! Yellowstone deserves a visit. I’m putting it on my list. I know some people who’ve gone there in winter backcountry x-c skiing and say the wildlife is spectacular in winter. There are back country cabins you can stay in. I’m sure reservations are needed, probably through NPS.